Format: Mostly 8x10 or 5x7 black and white prints. These photographs were largely produced by County Photographer Anthony Vitulli, although some were produced by private contractors. The images are mostly black and white prints (8x10 or 5x7) with some color prints. 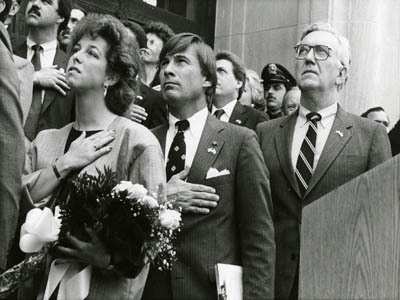 The photographs focus on the activities of County Executive Andrew P. O'Rourke (1983-1996) with a few from the term of his predecessor, Alfred DelBello (1974-1982). 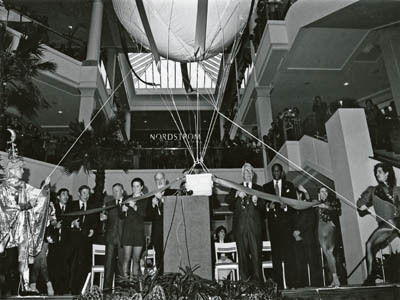 Although the bulk of the images record ceremonial functions, they include photographs of county commissioners and department heads, county employee activities, county-owned buildings, members of the Board of Legislators, and events, such as the Westchester County Tricentennial (1983).